In this episode, I spoke with Emily Slofstra from Cycle WR, a local non-profit dedicated to advocating for better, safer cycling in the Waterloo Region. In trying to create a bike route to The Eco Market later this month, we quickly realized how challenging accessibility is in certain parts of Kitchener-Waterloo. It seems like with Waterloo Regions 80 by 50 goal, and our regions massive carbon output from cars, getting more people to choose greener transportation options, such as biking, should be part of our plan to achieve this goal. But how do we get started when many people feel unsafe biking to work? In my conversation with Emily, we talked about what Cycle WR does in the region, how to get involved, progress in the region for accessibility, insights from other regions, and steps moving forward. Emily Slofstra has been an urban commuter cyclist for over 10 years, and has fond memories of her five months living and biking in Amsterdam on academic exchange. Now that her kids are cycling independently, Emily is even more aware of the need for protected, separate infrastructure. 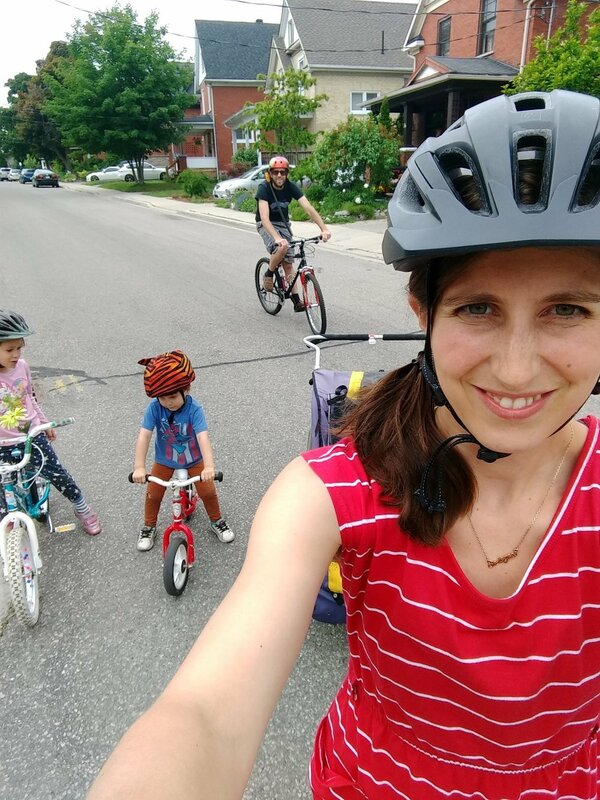 Emily is a Registered Nurse who would prefer not to see any more cycling-related injuries, and as the Chair of CycleWR she spends her spare time advocating for better infrastructure throughout Waterloo Region.